Stuart Ho is a respected businessman and community leader in Hawaii. 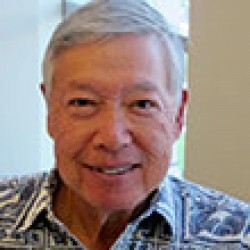 A former legislator, Mr. Ho was also the President of Capital Investment of Hawaii, Inc., one of the founders of the Rehabilitation Hospital of the Pacific, serving as its President and CEO from 2002 until 2007, and past president of AARP Hawaii. Mr. Ho currently serves as the Treasurer of the Takitani Foundation.